Among the 11 trials included in the systematic review, 570 participants with chronic cough received a variety of interventions. Whereas cough-related quality of life improved with gabapentin and morphine, only gabapentin was supported as a treatment recommendation. When researchers accounted for intervention fidelity bias in studies involving inhaled corticosteroids, these agents were found to be ineffective against unexplained chronic cough. When unexplained chronic cough was unrelated to GERD, esomeprazole was found to be ineffective. However, cough severity was improved when clinicians intervened with a multimodality speech pathology intervention. Dr. Altman says that a standard decision-making process for managing complex patients will most often provide the best outcomes. “We also recognize that behavioral interventions—suppressing cough when the urge arises and avoiding triggers—with speech therapy can effectively improve quality of life in patients with chronic cough,” he adds. According to the guideline, objective testing should be performed to rule out cough-variant asthma or eosinophilic allergic or non-allergic inflammation in the lungs. If patients have neither of these conditions, then medication should not be prescribed to treat these health issues. Clinical studies have shown that acid reflux can also contribute to cough, but Dr. Altman says that clinicians should avoid prescribing a medication for acid reflex if there is no symptomatic or objective testing evidence for reflux. Gibson P, Wang G, McGarvey L, Vertigan A, Altman K, Birring S. Treatment of unexplained chronic cough: CHEST guideline and expert panel report. Chest 2016;149:27-44. Available at: http://journal.publications.chestnet.org/article.aspx?articleID=2451211. Irwin R, Baumann M, Bolser D, et al. Diagnosis and management of cough executive summary: ACCP evidence-based clinical practice guidelines. Chest. 2006;129:1S-23S. Pratter M. Unexplained (idiopathic) cough: ACCP evidence-based clinical practice guidelines. Chest. 2006;129:220S-221S. 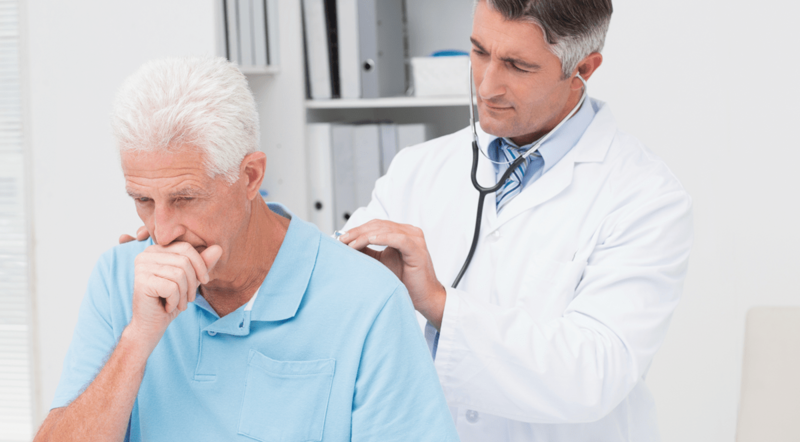 McGarvey L. The difficult-to-treat, therapy-resistant cough: why are current cough treatments not working and what can we do? Pulm Pharmacol Ther. 2013;26:528-531. Kenneth W. Altman, MD, PhD, FACS, has indicated to Physician’s Weekly that he has no financial interests to disclose.